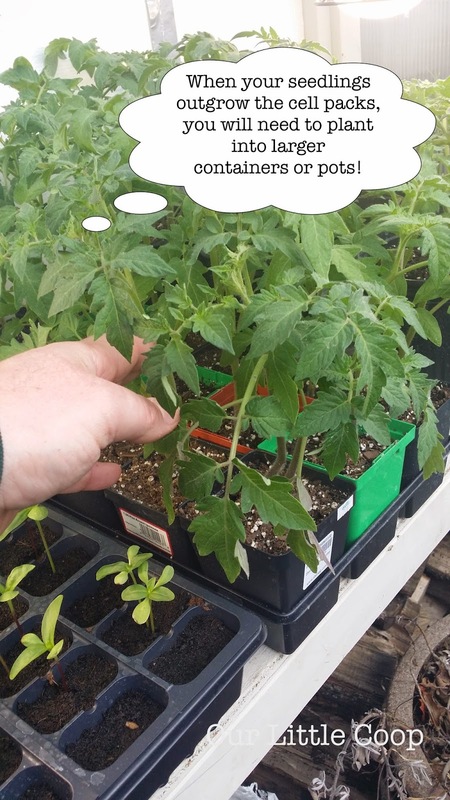 I decided to snap a few pictures as I relocated one of the tomato flats and my thinning process in hopes it may help someone out. 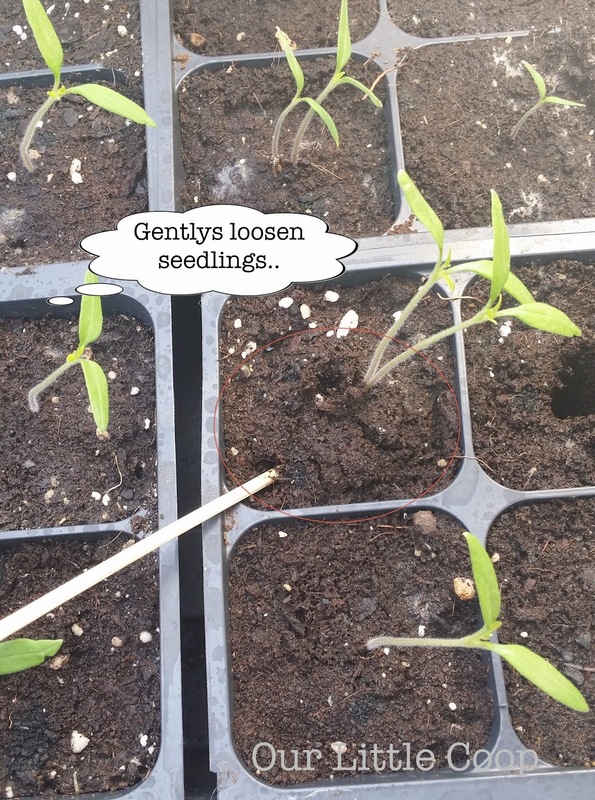 Tomato seedlings that need to be separated. 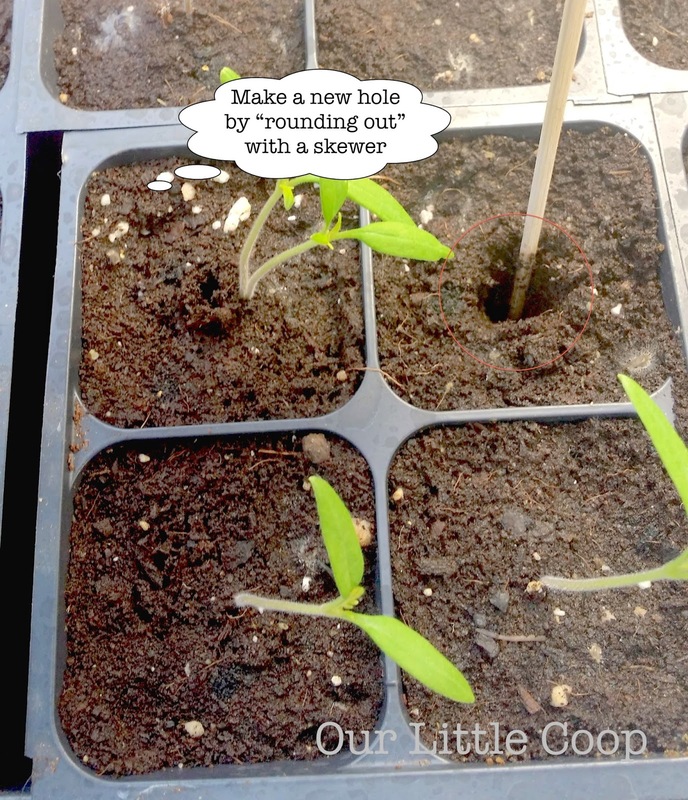 With a bbq skewer, lightly lift up from the bottom to loosen the cell a little. 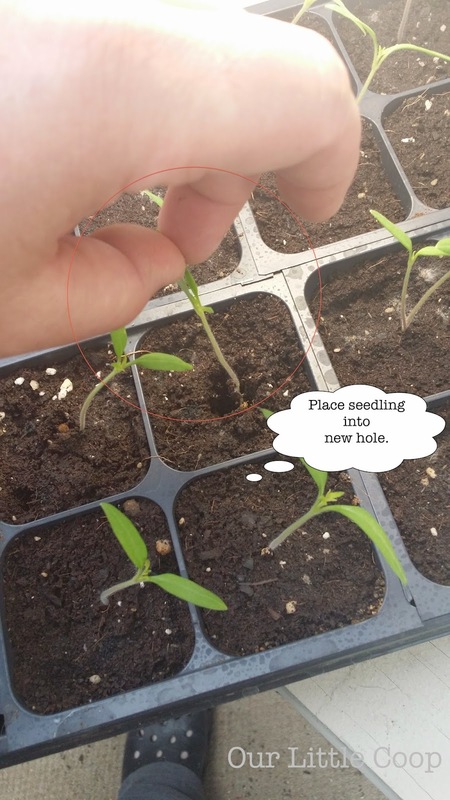 Make a new hole for you relocated tomato seedling. 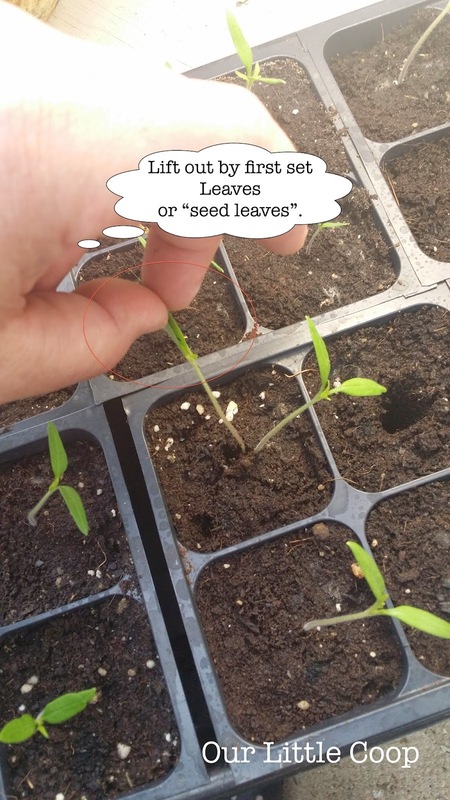 When handling tomato seedlings, do so by the first set of leaves to grow. 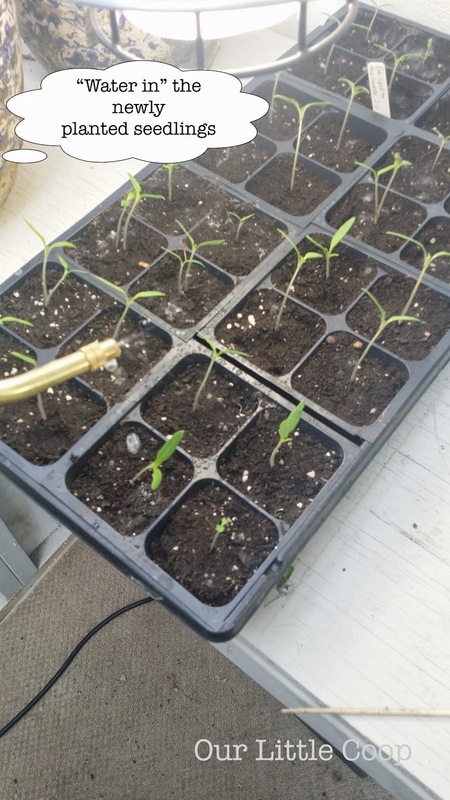 The plant will eventually lose these anyways. 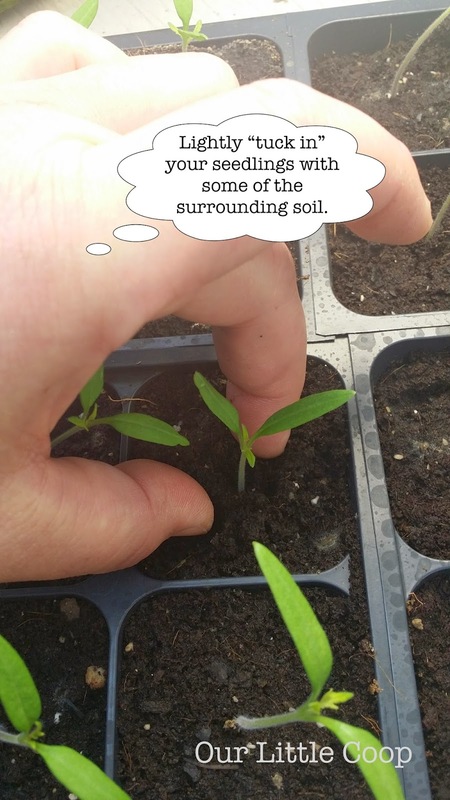 Place tomato seedling into its own cell. Lightly fill in the hole with your mix. they completely fill out the containers they are in. 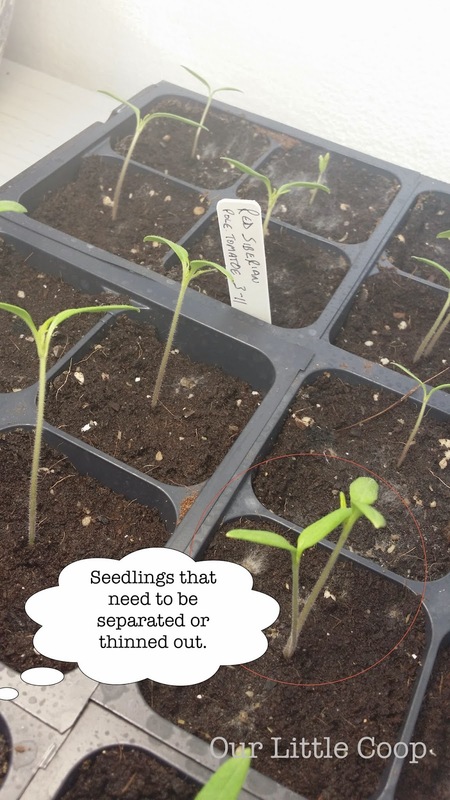 Let me know how your seedling are doing this year or if you had to make any changes due to the weather. If you have any questions, feel free to also post those below in the comment section and someone will help you out.